Our Two Contest Winners For July are Revealed Below! Thank you, everyone, for your feedback in July! We really appreciate the time you took to give us your thoughts. We continue to learn and enhance our products and services based on your shared responses. Remember, if your name isn’t announced in this month’s contest, a new contest starts in August with new opportunities to win! Barbara shares her experiences using ProspectsPLUS! with the following feedback. Shelly shares her experiences using ProspectsPLUS! with the following feedback. Take the lead from Barbara and Shelly and send at least 100 listing generating Postcards to an area where you want more listings. Our Three Contest Winners From June are Revealed Below! Thank you, everyone, for the incredible reviews we received in June! We really appreciate the time you have taken to give us your feedback. Remember, if your name isn’t announced in this month’s contest, a new contest starts in July with new opportunities to win! McKee shares his experience using ProspectsPLUS! with the following feedback. Catherine shares her experience using ProspectsPLUS! with the following feedback. Ruth shares her experience using ProspectsPLUS! with the following feedback. Take the lead from McKee, Catherine and Ruth and send at least 100 listing generating Postcards to an area where you want more listings. The 3 May Contest Winners Revealed Below! Thank you for the wonderful and thoughtful reviews we received in May! We really appreciate you taking the time to give us your feedback. Remember, if your name isn’t announced in this month’s contest, a new contest starts in June with new opportunities to win! Tanzania’s shared her experience using ProspectsPLUS! with the following feedback. Tanzania’s Latest Marketing Purchases – Listing Inventory Series, Market Quote Series, Fence Sitter Series, Just Sold Series. Kathryn shared her experience using ProspectsPLUS! with the following feedback. Kathryn’s Latest Marketing Purchases – Just Sold Series postcards. Henry’s shared his experience using ProspectsPLUS! with the following feedback. Henrys Latest Marketing Purchases – Just Listed, Just Sold Series, and Upload Your Own Design Postcards. Take the lead from Tanzania, Kathryn & Henry and send Just Listed/Just Sold Postcards to the areas around your current & sold listings. Start the process of declaring yourself the neighborhood expert now! 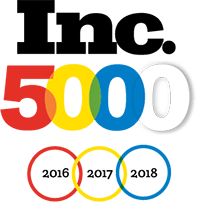 Need help targeting the perfect niche of sellers? Use our mailing list tool to create the ideal list or call our support team for assistance at 866.405.3638! Thank you to all of our Contestants in our April Contest! The time and effort you have taken to give us feedback on your experience with a ProspectsPLUS! product or service is incredibly meaningful to us! Remember, if your name wasn’t announced in this month’s contest, a new contest starts soon with new opportunities to win! Tracy had exciting feedback about his experiences with ProspectsPLUS! as a new agent. That’s right Tracy has been sending out the Market Dominator for just four months (including April) and has already received two listings from this marketing piece. There’s a reason we call this product the “Market Dominator”. Anyone who is serious about becoming a neighborhood brand and dominating a specific market should check this product out. Mryna shared her experience using ProspectsPLUS! over the years with the following feedback. Just Listed and Just Sold Postcards are some of our most popular marketing pieces. We offer them in ten different designs and 18 logo color choices. Check them out Here. A service that works perfectly with our Just Listed/Just Sold Postcards for busy agents interested in working smarter not harder is our MLS Mailings service. 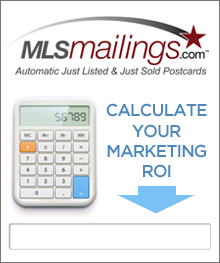 This automated service integrates with your local MLS and makes sending out your Just Listed and Just Sold postcards something you can do in your sleep. Using MLS Mailings takes one major ongoing task off of a busy agent’s “To Do” list. To learn more, Click Here. 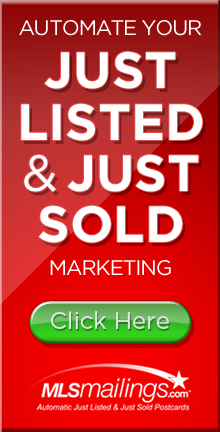 Take advice from Mryna and her successful neighborhood branding strategy and send Just Listed/Just Sold Postcards to the area around your listing. Start the process of declaring yourself the neighborhood expert now! Thank you to all of our amazing contestants in our March contest! We were thrilled to see the successful experiences everyone is having with our products and services. It is especially enjoyable to read about the experiences of so many new agents. Remember, if your name wasn’t announced in this month’s contest, a new contest is starting soon with new opportunities to win! John had wonderful feedback about his experiences with ProspectsPLUS! as a new agent. Letterly shared her recent experiences using ProspectsPLUS! as a new agent. Join in on Letterly and John’s successful use of Door Hangers by ordering 100 Door hangers from our Door Hanger Series and have them sent to your home. Commit to hanging them on the doors of 100 homes in your Geographic Farm in April.